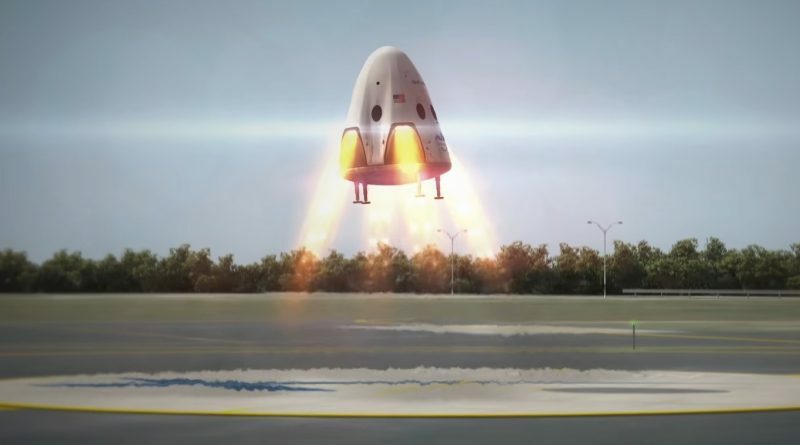 SpaceX decided against the company’s previous plan of having their next generation Dragon spacecraft return to Earth via a powered landing to bring back cargo and crews from the International Space Station, company chief Elon Musk said on Wednesday at the International Space Station Research and Development Conference in Washington. 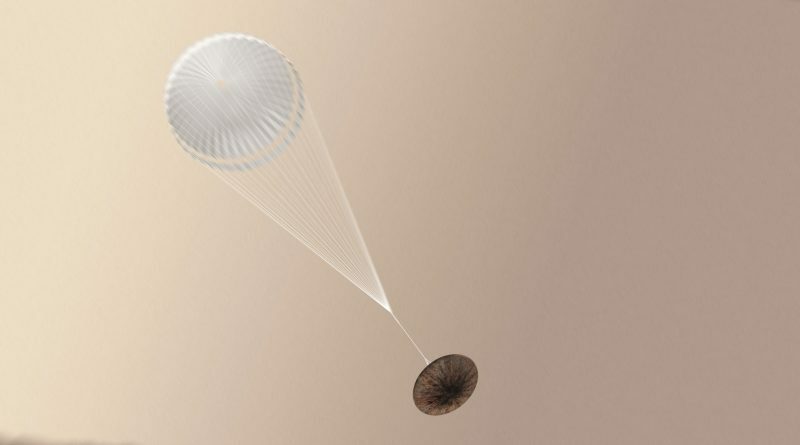 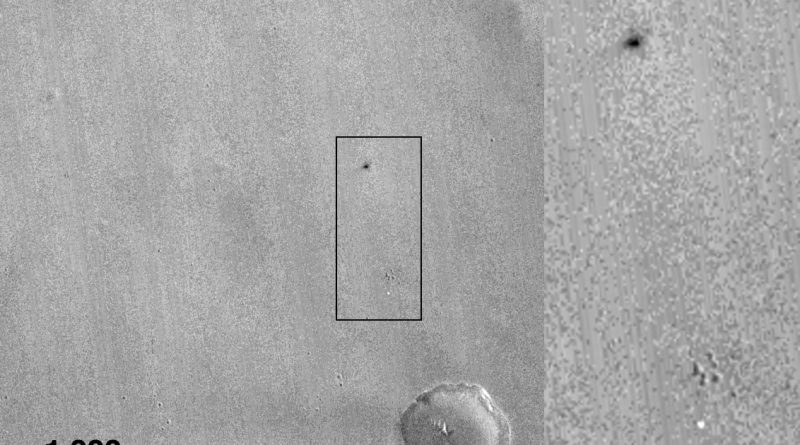 The European Space Agency concluded its inquiry into the crash landing of the experimental Schiaparelli Mars Lander last October, citing a lack of understanding and modeling of parachute dynamics experienced at high speed, insufficient failure identification and recovery options in the craft’s software and mismanagement of subcontractors & hardware acceptance as contributing factors for the botched landing sequence. 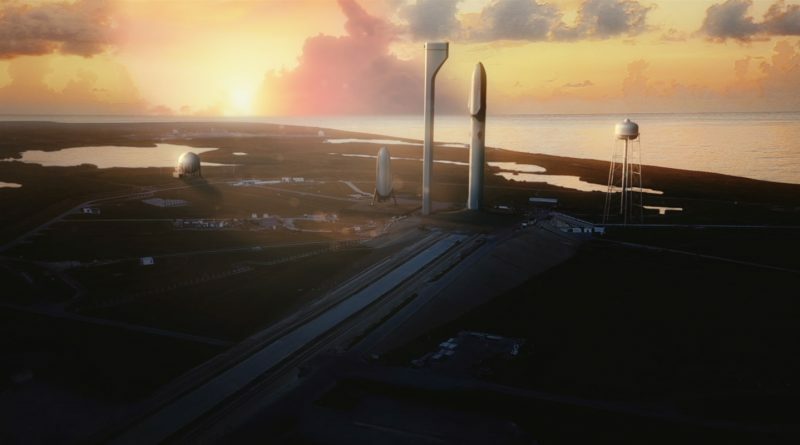 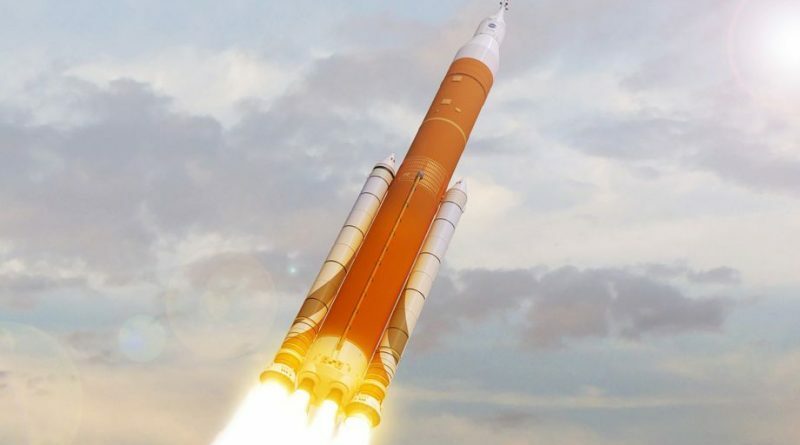 NASA decided against putting a crew on the first flight of the agency’s upcoming heavy-lift Space Launch System which is now expected to occur some time in 2019 after slipping from the latest 2018 target, NASA said on Friday. 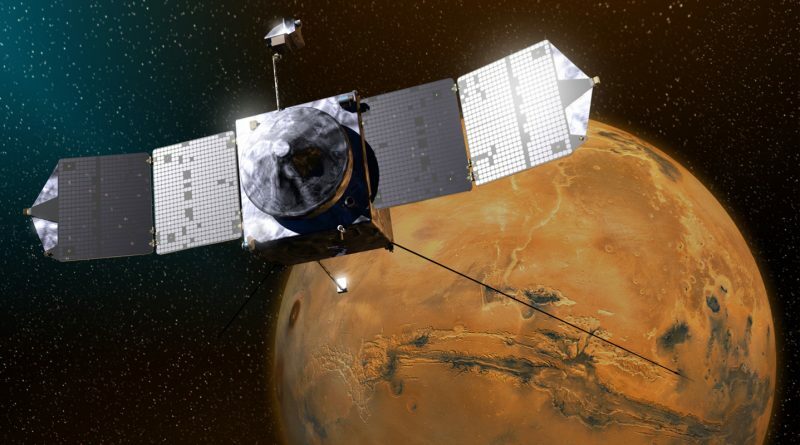 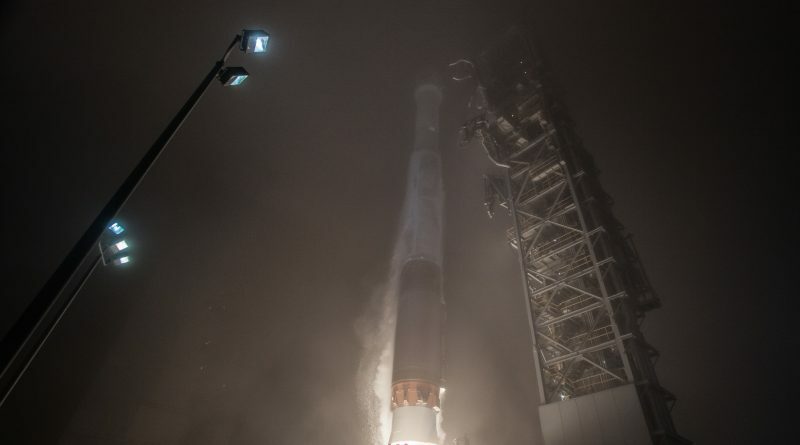 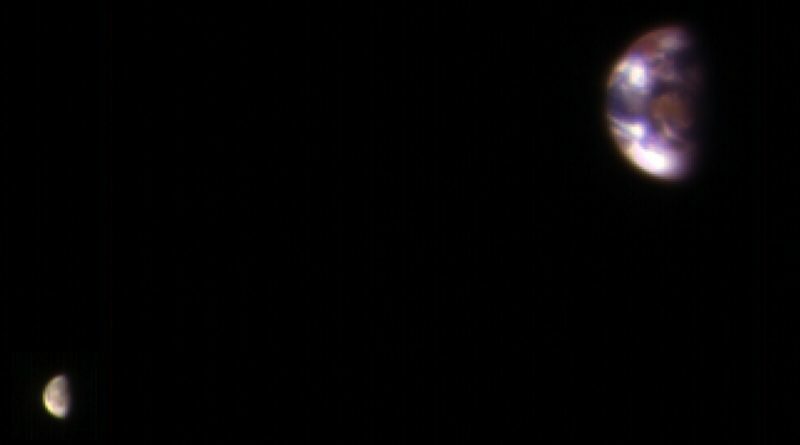 NASA’s MAVEN spacecraft – orbiting Mars in a highly elliptical orbit to explore how the planet lost most of its atmosphere – had to fire its thrusters this weeks to steer clear of a collision with Mars moon Phobos on March 6. 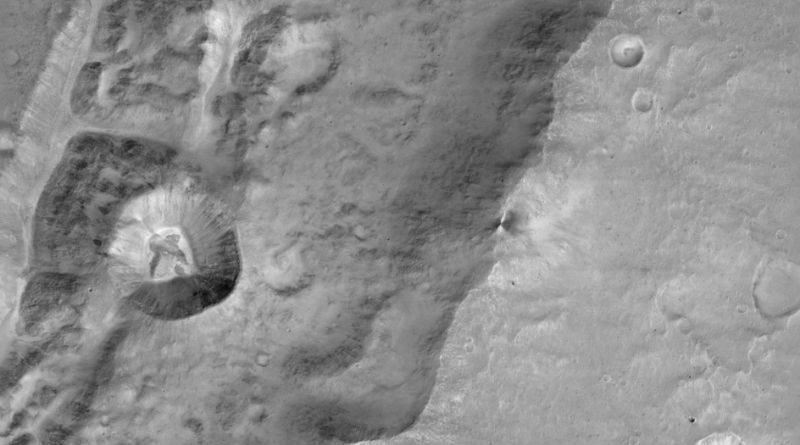 ESA’s Trace Gas Orbiter completed a series of engine burns to shift its orbit around Mars toward a higher inclination in preparation for a lengthy altitude reduction campaign that will take the rest of the year and spiral the spacecraft down into its science orbit from where the orbiter can obtain a detailed inventory of the Martian atmosphere. 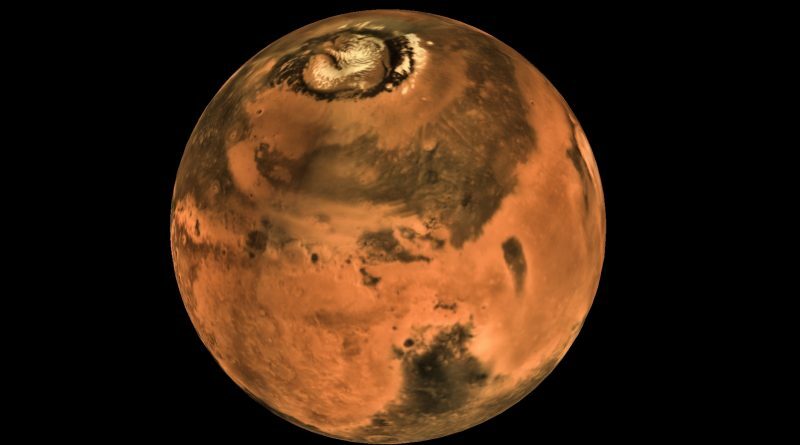 India’s Mars Orbiter Mission, having already surpassed its planned operational life & exceeded all expectations, completed a critical orbital adjustment this week to avoid lengthy solar eclipses in February that could have threatened the survival of the spacecraft. 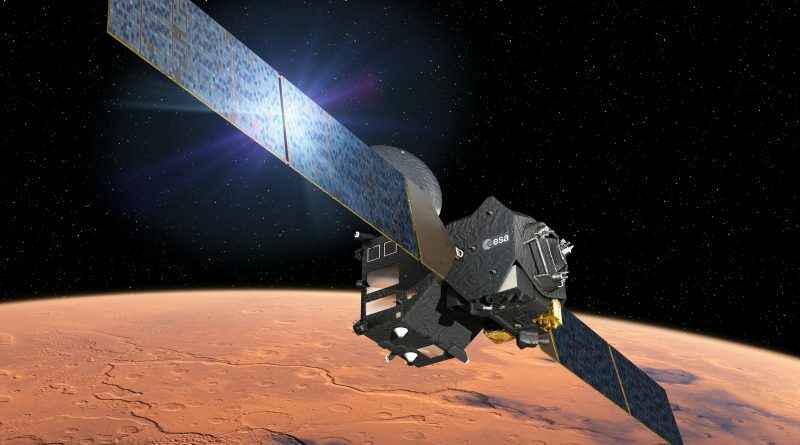 The European Space Agency’s Trace Gas Orbiter successfully completed a pair of science checkout orbits around Mars and delivered a first glimpse of the scientific results to be expected from the orbiter’s instrument suite once reaching a low orbit around the planet in late 2017. 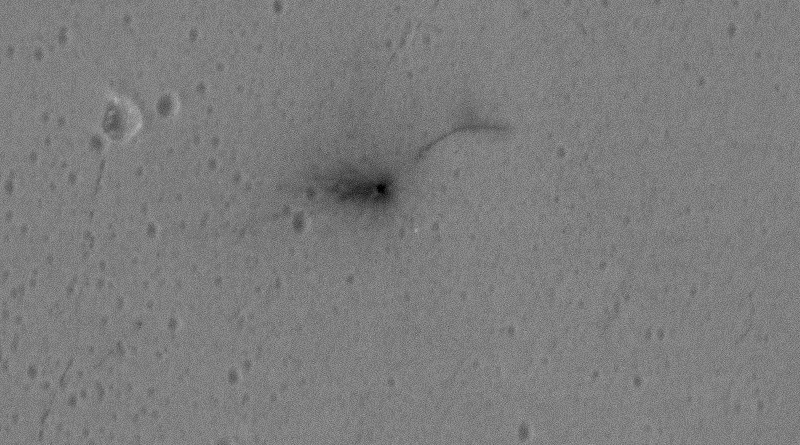 A one-second glitch led to a 3.7-Kilometer free fall for the European Space Agency’s Schiaparelli lander that crashed on Mars back on October 19 when attempting an experimental parachute-and-rocket-assisted landing on the red planet to pave the way for the ExoMars 2020 mission that aims to dispatch a rover to the Martian surface. 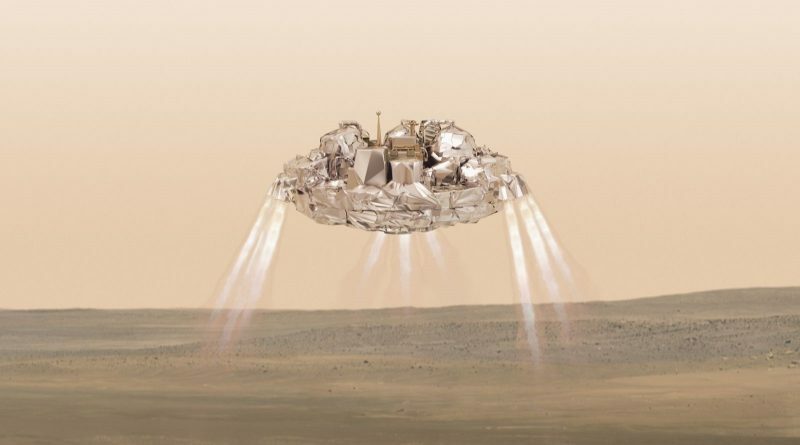 A 500-million Kilometer journey came to a dramatic end this week when the European Space Agency’s Schiaparelli lander crashed into the surface of Mars at over 300 Kilometers per hour after suffering an as yet unknown failure in the final stages of its descent. 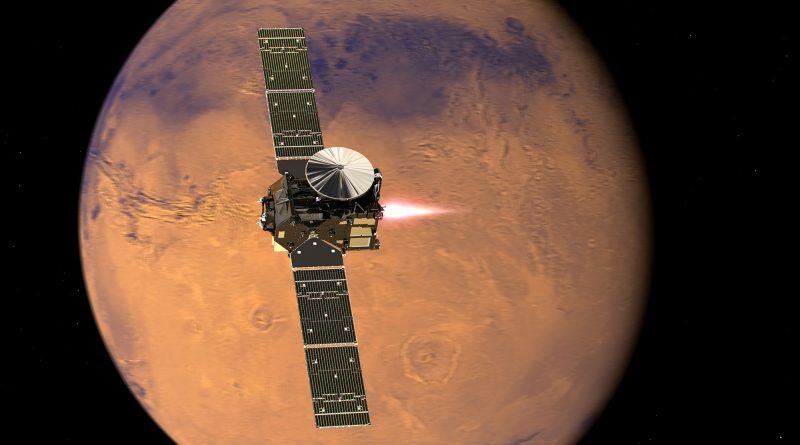 ESA’s ExoMars 2016 mission reached a dramatic culmination on Wednesday when the Trace Gas Orbiter successfully inserted itself into orbit around Mars while the Schiaparelli lander attempted a daring landing maneuver to become Europe’s first craft to achieve the feat of landing on Mars. 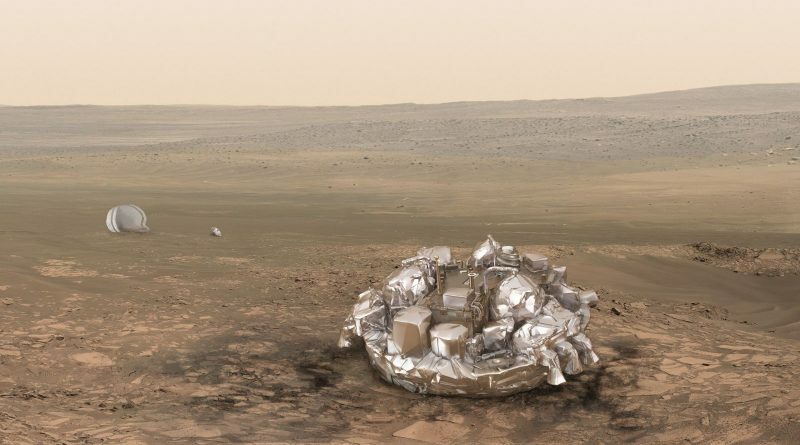 ESA’s Schiaparelli Mars Lander and Trace Gas Orbiter parted ways on Sunday after traveling nearly 500 million Kilometers together on their mission to Mars. 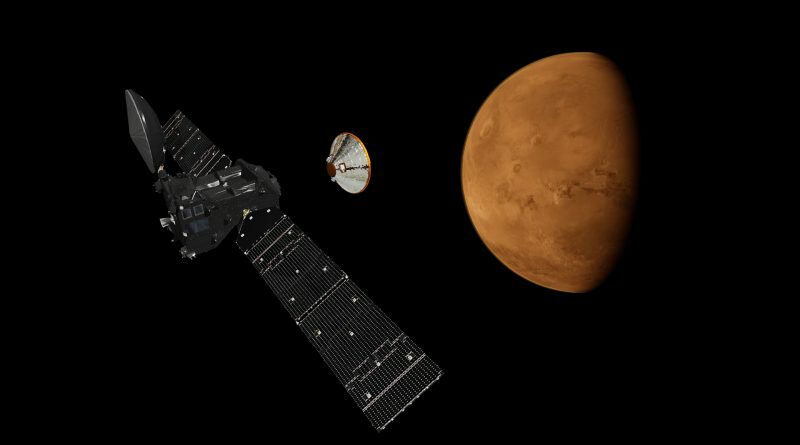 The ExoMars 2016 spacecraft is on the final approach to its arrival at Mars after conducting a final adjustment to its flight path to set the stage for Sunday’s planned separation of the Schiaparelli lander from the Trace Gas Orbiter ahead of the big day on Wednesday.